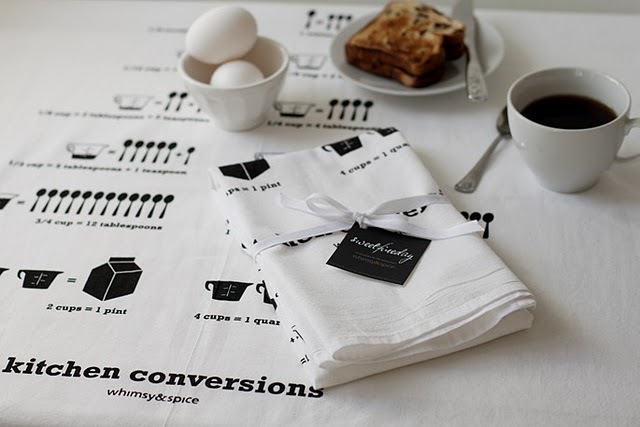 Creative entrepreneur & devoted mother and wife. I took my step towards elevating my domestic godess status by dedicating my Sunday to making my very first crock pot meal!! And, I have to say, it felt good! So, I’m working my way into the kitchen slowly but surely. And, let me tell you, I could use a little help. That’s where Sweet Fine Day comes into play! 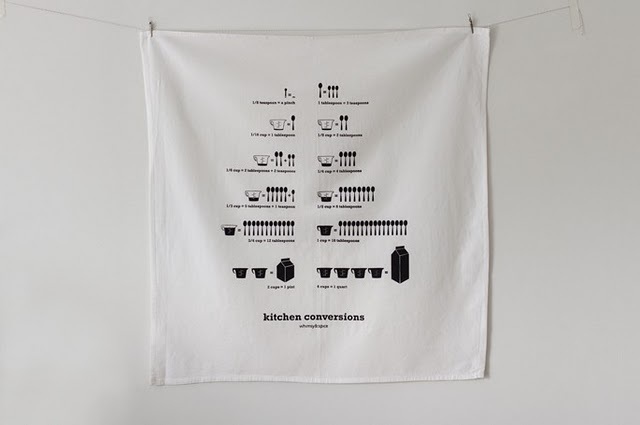 I must have this kitchen conversion tea towel. And, not because I like pretty things. It’s for everyone’s well being… under this roof anyways! Now… help me feel better about myself! What’s your worst screw up in the kitchen? ?